You will not believe this, but we have sunshine in the UK!! Woohooo. It's cold sunshine, yes, but it's bright skies, and that's always an excuse for happy. As is a delivery of Cadillacquers, and I whooped a little song of joy when these were sent to me for review a few weeks ago. They are from the new Seek The Fire Collection, and don't disappoint. 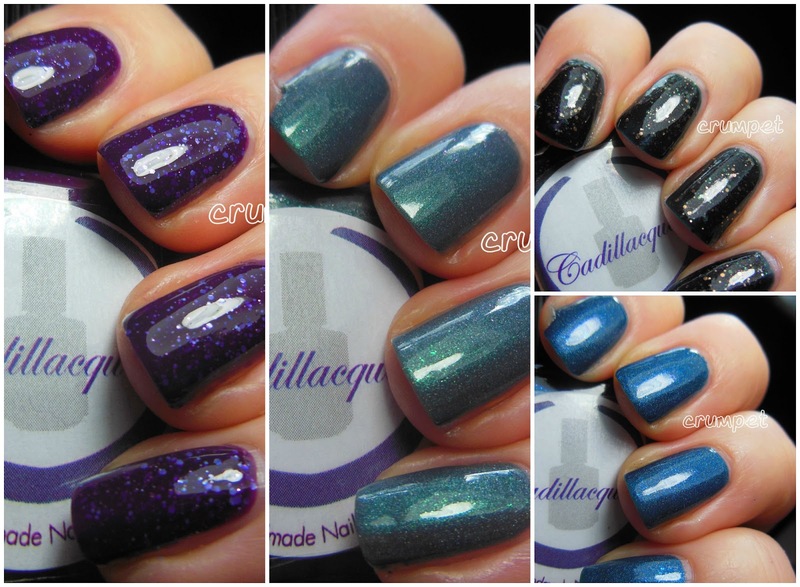 In a crowded market, Cadillacquer always stand out for me, with a love of colour and inventiveness that really sets them apart. 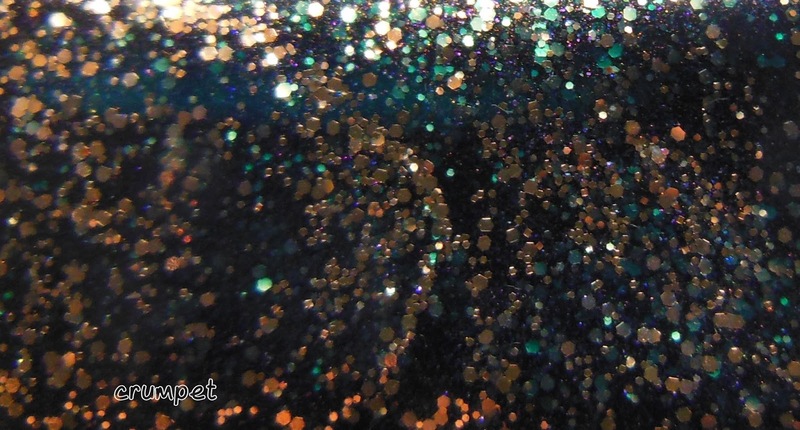 I'm saving my favourite for last, so let's start with By Night, a lovely dark denim subtly scattered holo, full of sparkle and light. This has a thickish but excellent formula, so I am excited to see how it stamps! 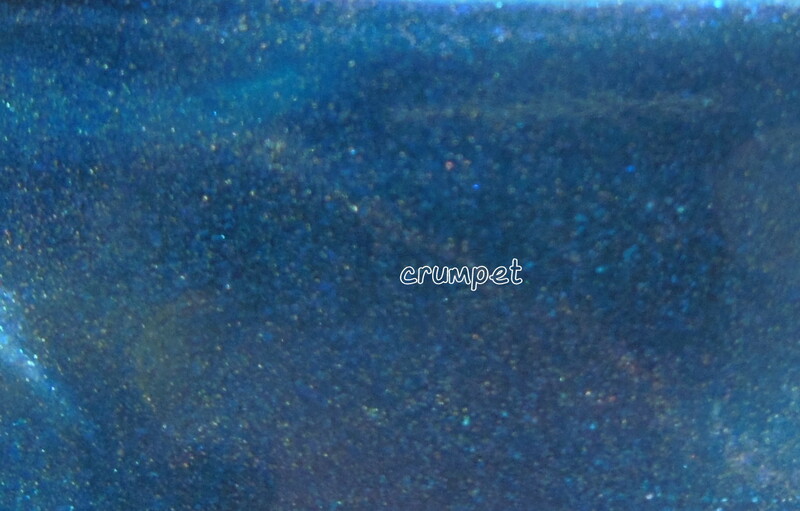 The pigmentation is really intense, and overall the polish has a beautiful velvety apperance. Not Alone looks black at first glance, but it's actually a forest green base - as green as green will go before it goes black - loaded with gold glitters. 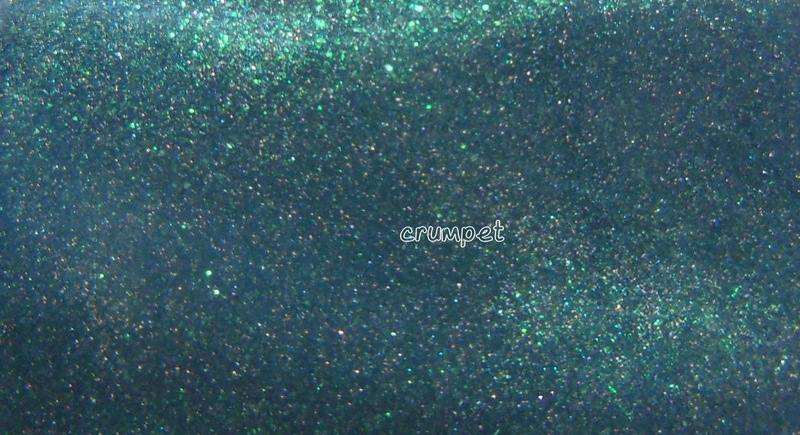 This is a really dramatic polish (so nice to see Cadillacquer turning away from all those pastels), and reminds me very much of a green version of the now discontinued Fireflies. This really sings of the twisted darkness, and I love how decadent it looks. Not my personal favourite, but I do love the drama of this one. The Journey is essentially By Night's twin, with the same subtle scattered holo effect. This time the base is much more blue steel, and it's illuminated by an amazing green light - like a will o' the wisp effect. Again, the formula on this is thickish but excellent, but it's the phosphorescent fire that will have you purring here. And so finally .... Survivor. 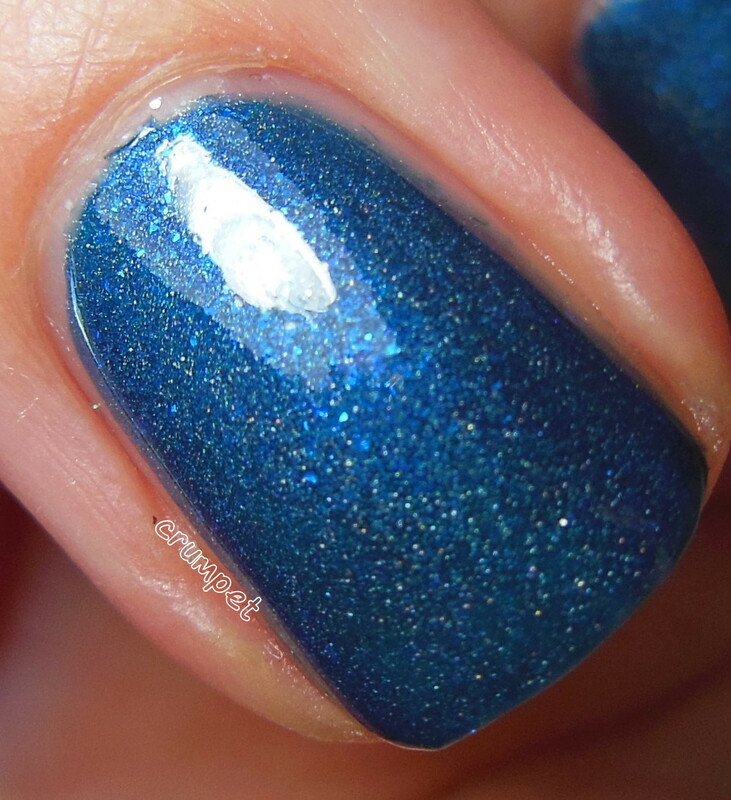 My heart skips a beat every time I look at this polish - it's pretty much THE perfect Crumpet polish, and I know I've said this a lot lately, but I KNOW this will still be tattooed on my heart come the time for Top 10 of the Year. Where to start? This polish is like all of eternity for me. 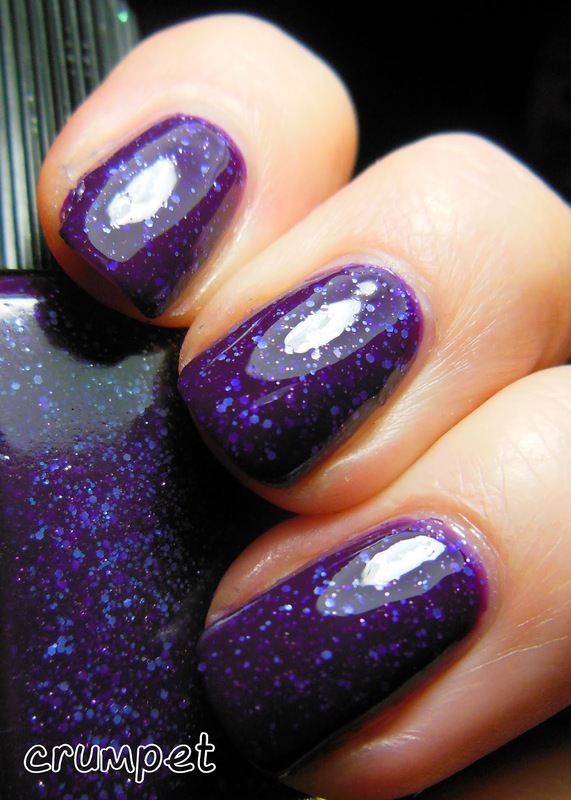 There's something of the galaxy to it, and I love how the intense purple base plays off against cold and warmer glitters. 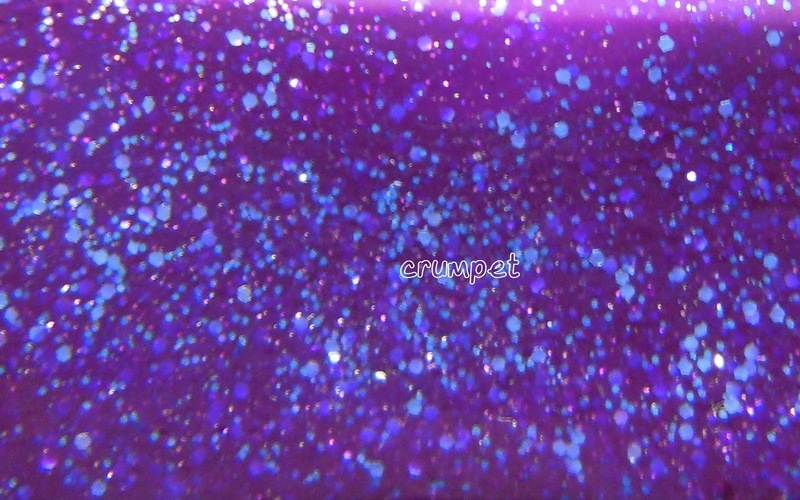 And let me tell you, it's those cold violet glitters that lift this polish into "legendary" starus. This polish is fathomless. 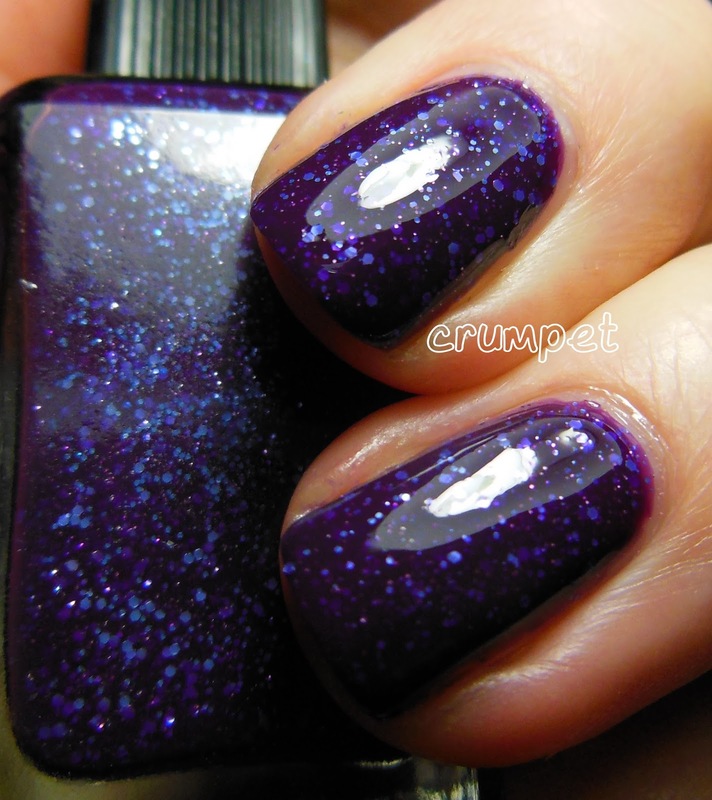 There's a depth to it that is stunning, and the tri-play of the purples is just bewitching. 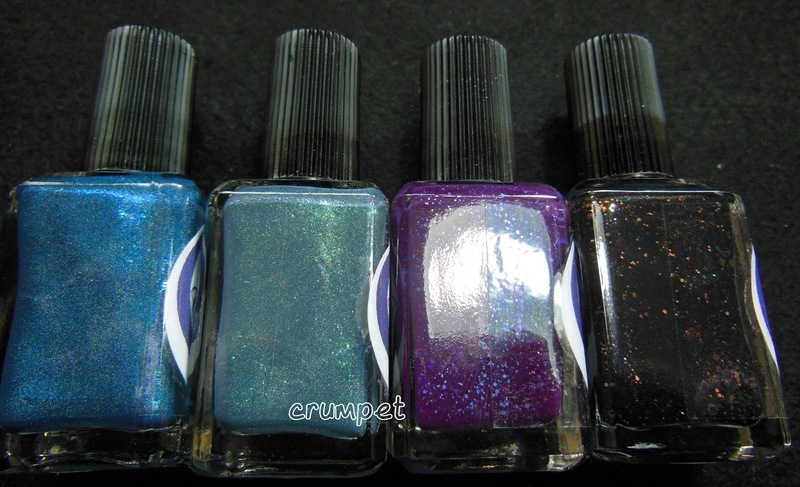 If I had to wear one polish every day of my life? Yup, I could wear Survivor, no question. Beautiful, rich, ornate and timeless - all at the same time. Now THAT'S a polish. 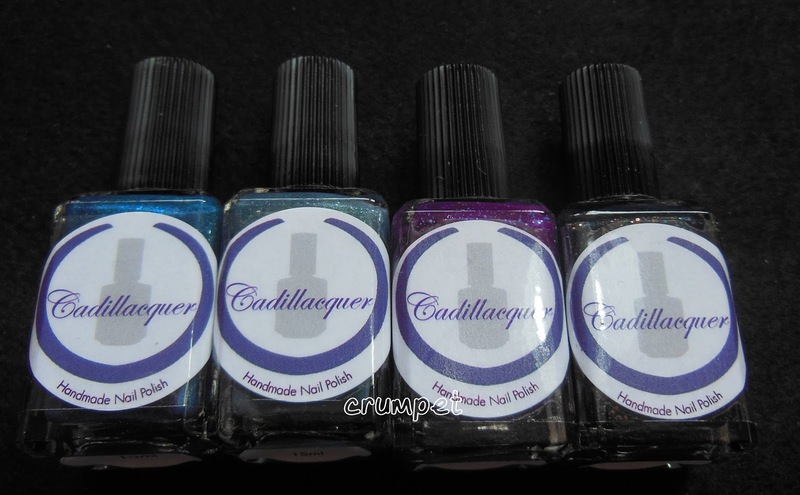 You can purchase Cadillacquer HERE as well as at various other e-tailers. I bought 2 more from the Seek The Fire collection, and you'll be able to see them soon.